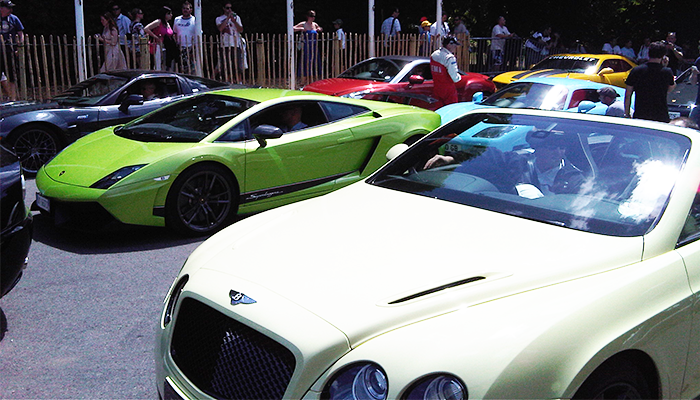 Each year, Lord Marsh hosts a party on the Saturday evening of Goodwood Festival of Speed. For the last four years, EHP have been contracted to provide staging and multiple bar facilities for the party, with the added challenge of having to physically transport the structures across the festival to the build site. 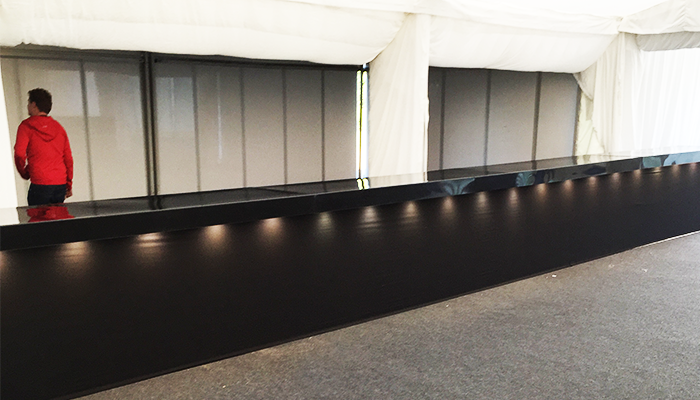 To build, carpet and rail the main stage, drape a line to separate the entertainment and dining areas and construct a bespoke bar with front downward lighting, all with an exceptionally fast turnaround. Due to the number of events held during the festival, space is at a premium and marquees are used for different events each evening. As a result, access to the venue marquee is not possible until 2.30am. 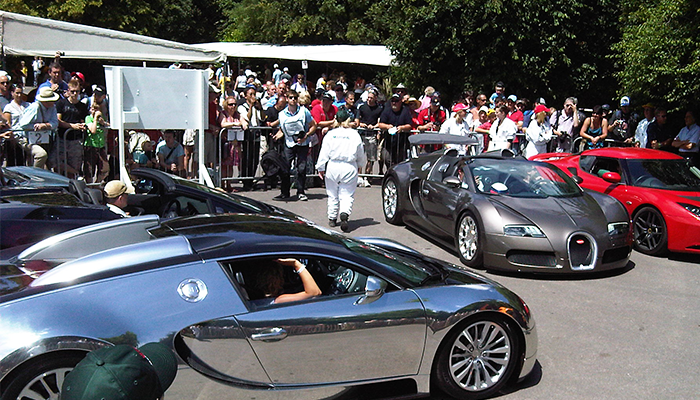 Furthermore, all the equipment must be walked 60 meters to location as lorries are unable to access the venue. The build takes approximately four to six hours with a team of four men. 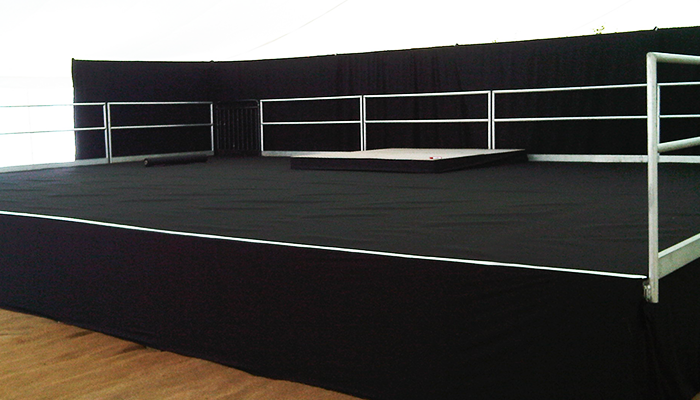 With a quick turnaround required, the build team are instructed by the client as soon as the marquee is available, and then left to complete the build before the morning, ready for the lighting and sound teams to start. EHP manage this project with a combination of determination, focus and physical effort to produce a seamless result that impresses every time.